AIRLINERCAFE.COM - Forums - Got to fly the Negus bird to London!! Forums / 2. Civil Aviation / Airlines and Airplanes / Got to fly the Negus bird to London!! Here�s G-CIVB touching down in Phoenix night before last as BA289. Two hours later she was BA288 on the way home to LHR, with me aboard! Nice!!! I'm jealous!!! I haven't gotten to "hop the pond" in way too long. Hopefully this year sometime!! Fancy exterior. Tired 747 interior on the inside? - Seats in WT/WTP will be refurbished with new seat foams and cushions as on Super Hi-J aircraft. - New Panasonic IFE fitted. I thought the ones they put the retro schemes on were going to be retired next year?? The schemes are staying on until they retire. 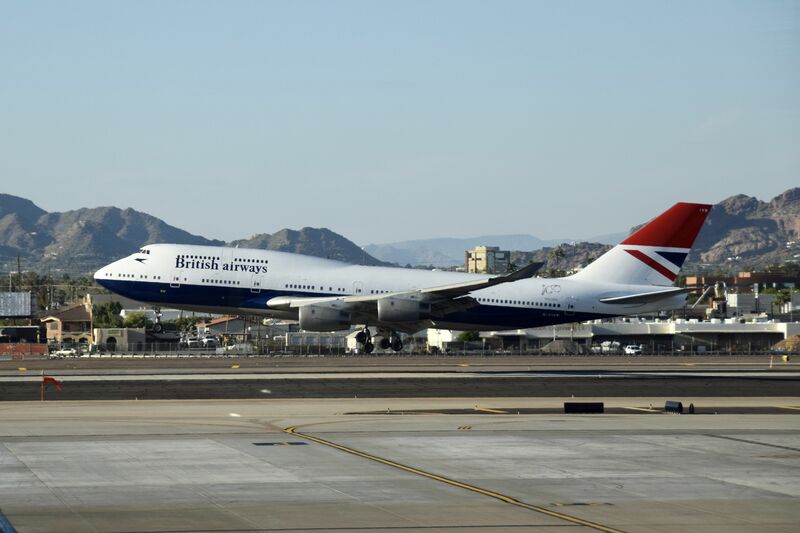 So I flew G-CIVB from PHX to LHR on the 5th, and just checked now and my flight home from LHR to PHX on Friday is scheduled for G-BNLY in the Landor livery!! SCORE!!! Nice. The closest I've been is seeing G-EUPJ (A319/BEA)and G-BNLY (B744/Landor) on the ground at LHR as I was leaving for GVA. We've had G-EUPJ in GVA a couple times but I've been out of the country.